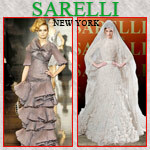 Sarelli New York brings you a tasteful selection of evening gowns and evening wear. NEW! We now do Bridal! Sales and rentals. By Appointment Only. Custom gowns by Malky Grossman, clothing designer. Imported Evening wear. Mother-of-the-bride and Bubbies and sisters too. Alterations on premises. Find great women's clothing and accessories at Cici Fashion 101. We are a new women's clothing store carrying a full line of women's dress styles and apparel. In addition to our fashionable clothing, we have a great selection of costume jewelry and accessories. Visit our clothing store in Brooklyn, New York, for fashionable women's apparel including evening dresses and costume jewelry. Conveniently located in Flatbush, Alegra creates custom evening and wedding gowns starting at only $499. You pick out your ideal dress from a catalog, magazine, or a print ad. 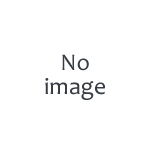 Bring in the picture and Alegra will recreate it custom made for you. Pessy Miller Exquisite Designs, Inc. Sales and Rentals of couture gowns for Mother and Sister of the Bride and Groom. By Appointment Only. Haute Couture gowns for Sister-of-bride. Sales & Rentals Custom-made for you. Tulle + Lace is a wedding and evening gown rental that offers a curated selection of modest designer evening wear for rent and purchase.